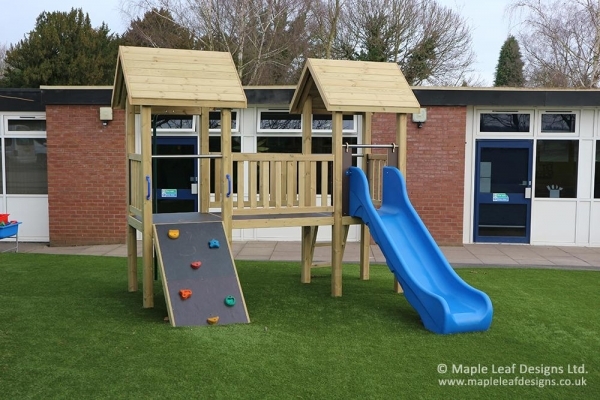 The Maxi Wildwood Play Tower is designed with a natural unobtrusive look, with bare wood and splashes of colour. Our regular unit consists of two roofed towers, a climb grip ramp, a fireman’s pole, a suspension bridge, a set of steps and a rotomould slide. As with all of our towers these options can be adjusted to your needs.